← The Sports Archives – What Happened To The UK’s Best Loved Racehorses? The Sports Archives – Improving Your Skills With Baseball Training Aids! Baseball is a popular sport. The structure of it is quite simple: players use a bat to hit a ball far enough to be able to run around to each base in hopes of scoring a home run. People all over the world enjoy playing and watching the sport, picking their favourite teams and rooting for their victories against the others. Each team is usually made up of nine players who take turns batting and fielding. Those who are in the field will try to catch the balls that the other team hits so that they can get it back to the base man as fast as possible before the opponent gets to the base. The players run clockwise to each base, first, second, third and home base. While the rules and structure of the game may seem simple, it actually requires quite a bit of skill and coordination to be good at it, and make a career of it. 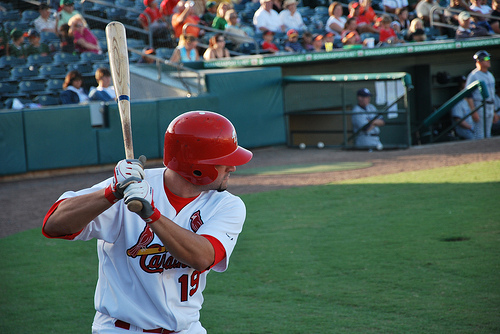 Many of the players on professional teams spend hours a week training and practicing their pitching, batting and catching skills. Luckily, though, for those who wish to break into the sport of baseball, there is baseball training aids available for purchase. The structure of baseball can be traced back to as early as 1344 in a French manuscript which contained a game similar to baseball. The earliest known reference to the actual game of baseball, however, dates back to 1744 where it was featured in a British publication called ‘A Little Pretty Pocket-Book.’ This game featured a triangle shape of all the required bases instead of a diamond, and used posts instead of ground-level bases. The game of baseball was not played until 1749 in Surrey, and actually had the Prince of Wales as one of the players. The first reference of baseball in America was in 1791. It was recognized in Germany in 1796. By 1856, baseball became the national game in America. The National League was founded in 1876. 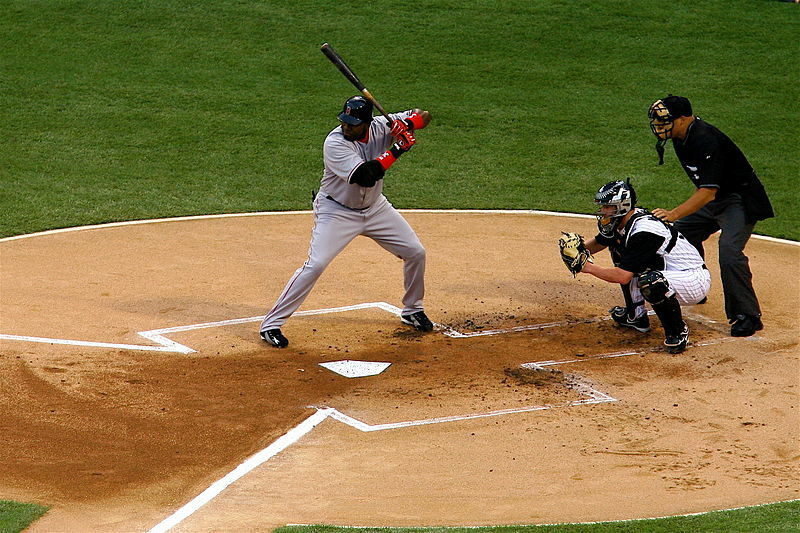 Since then, various manufacturers have created baseball training aids to help players and potential players become better at the sport by having the option to practice their techniques while also developing them to become stronger. Baseball training aids are available for purchase from baseball pro shops, and even online. In price range, they can cost all the way up to $500, depending on which aid you choose. These aids can be batting cages, catching nets, batting tees, pitching practice screens, baseball feeders, pitching machines, and much more. These baseball training aids can help train those who are already avid players of the sport, and also those who wish to get into the sport. They are good for practicing and training, helping individuals master the skill of coordination and timing. The best thing about baseball training aids is that they can be purchased for at-home use, or for use at baseball fields and other areas where training takes place. Most of these aids are easily transportable, and can be taken on trips or to other areas where you may wish to practice. It can be hard travelling from one place to another in order to conduct training and get practice time in, so these aids come in very handy for the busy player. These tools are also excellent for those who simply play recreationally, or even on a junior team. In order to learn good baseball techniques, training aids are a must. Whether you are looking to become a professional player or just play for fun, it’s always a good idea to improve your skills. There are many manufacturers and sporting good stores that carry these aids for a reasonable price. There are also many online stores that carry these aids and can ship them fairly quickly too. Online stores often have promotions, coupon codes and various deals that they are willing to offer to those who prefer to shop online. Researching sporting goods stores and online manufacturers is a good idea before choosing to purchase baseball training aids. It is also beneficial to research the aids themselves so that you can have a good idea of which aid will suit your needs best. Once you get your hands on baseball training aids, you’ll have everything necessary to build you skill-set and hone your techniques. This article was written by Mitch Ferris, who loves baseball and employed baseball training aids to help him improve his game in high school and varsity. Where to Find Your Favorite Teams for Spring Training! This entry was posted in Baseball and tagged Baseball, Baseball Blogs, baseball feeders, baseball history, baseball origin, baseball training, baseball training tips, batting cages, batting tees, catching nets, MLB, pitching machine, pitching practice screens, pitching tips, sports, sports and leisure, sports and recreation, Sports Archives, Sports Blogs, sports performance, training, training aids. Bookmark the permalink. 2 Responses to The Sports Archives – Improving Your Skills With Baseball Training Aids!